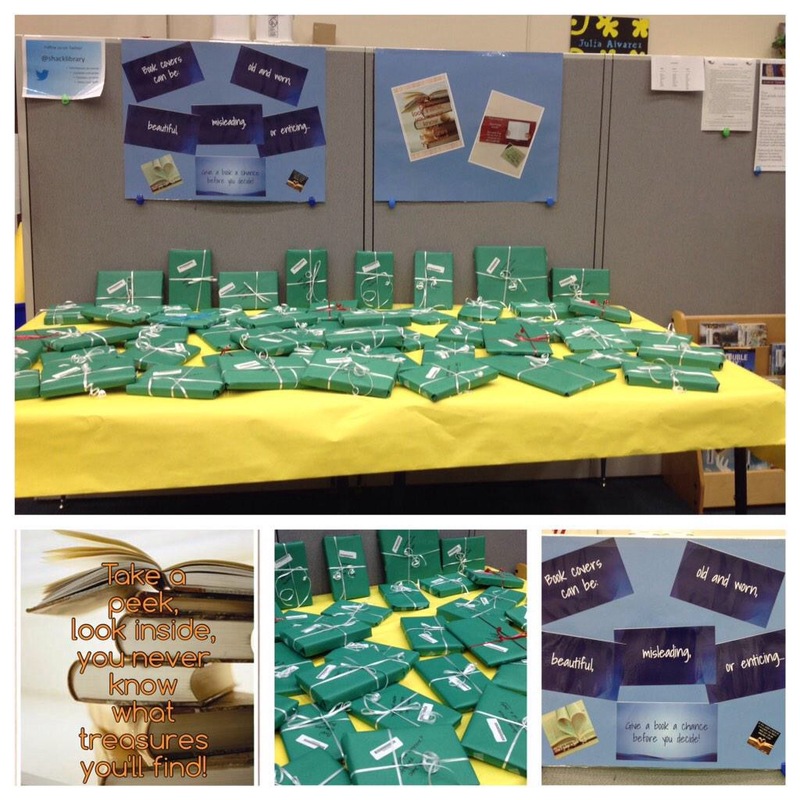 Two years ago we did the whole Blind Date with a Book Contest. Last year we missed out because I was in Russia, and this year, I’ll be going to TCEA for the first time, so I wouldn’t be there right before Valentine’s Day. Instead I decided to do a spin on that called Don’t Judge a Book by its Cover. It is basically the same thing because I wrapped up all the books and then put them out with only 2-3 word hints at the book. Students check out a book and then do a short book review if they wanted to be entered into a drawing for a gift card. So far I’ve wrapped enough books to fill a book truck front and back (so four long) twice. I still don’t even think I’ll have enough books to finish out this week because I told those that were interested they could have a second book this week. I might regret that decision, but the kids are excited, and even a few teachers are checking out books. The funniest part was that I wouldn’t let them check them out for a whole day while I started putting the display out. They were literally begging to check them out when the official contest began. Love seeing such excitement about books. PS…some really do have horrible covers, and we are rating the cover as a part of the book review they submit, so actually I guess we are judging a book after all! Last week was one of my favorite weeks because we did Speedbooking. It is really the only time of the year that I do a stand alone library activity. That said, it directly connects to literacy appreciation, and students all leave excited about books, so I don’t feel like it is wasted time. This is the time of year when my 8th graders get bored with reading. Time to light a little fire under them. Basically, the students rotate between seven different stations where they “meet” a book a different way at each table. As a side note, I pull enough books for every class (whew) so that kids can check out books that period if they want to rather than waiting until the day is over. Circulation is always much higher after this activity. The big winner of the week though was the choose your own adventure books. I think part of it was they loved hearing the “old folks” talk about how cool they were and how to fix things when you accidentally chose the wrong ending. AKA made a choice that got you killed. I realized the other day that the link I posted won’t work on iDevices because of the flash component in SpicyNodes. Here is the same content in text/link format. When I first started in the library several years ago the digital book trailer was the way to promote books. While I still see the value in book trailers (still post several a month), I also think it is essential for us to also look at other platforms for book promotion. Here are just a few. Create a poster you can “touch” with things like website links, videos, social media, and text. Display books in the library with a QR code that links to information about the book, book reviews, series information, links to a movie, or facts about the author. Have students create short videos promoting a book they like. Can be short clips just showing them and the cover or an actual interview about why they liked the books. Be sure to choose a variety of students. Use SpicyNodes to showcase read a like lists or genre spotlights. Create bookmarks for students as they check out in the library. Can have QR code links to library resources, photos related to books read in the classroom, popular genres, etc. Book blogs are still popular with students. They enjoy knowing what you are reading and how you think. Share frequently electronically and also post by book displays for students without Internet access. Use Prezi and create short guess the book prezis, author information, or series challenges. Create simple websites or pages for book promotion such as read a like lists. Add pop up text to any video posted on YouTube, Vimeo, SoundCloud or HTML5. Think old school MTV pop up videos. Use this tool as a way to highlight things you want students to remember. 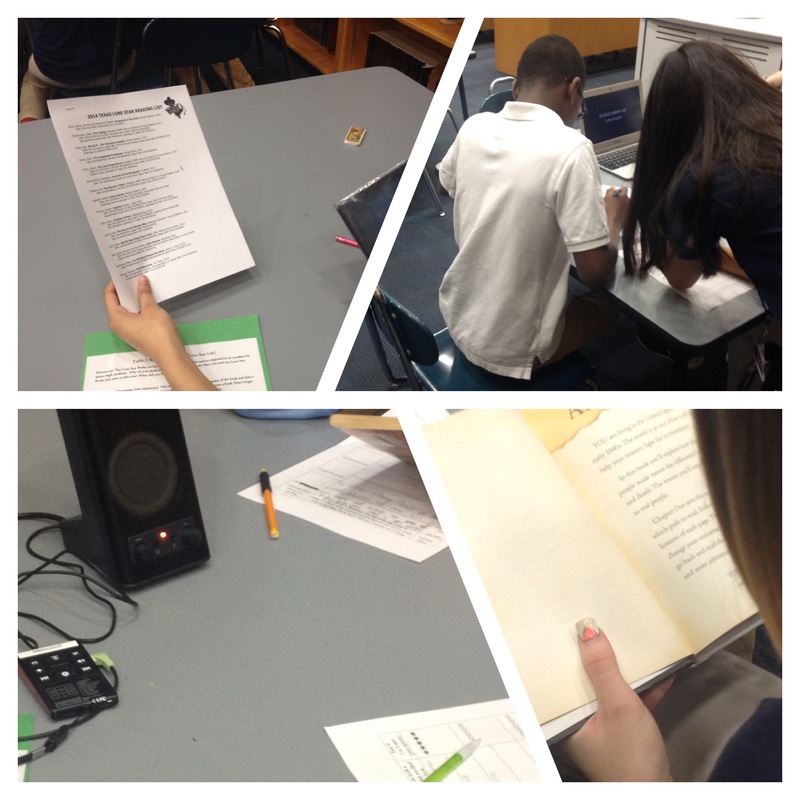 Record a short excerpt of the book with an introduction to why students would enjoy the book. Can have guest readers for a surprise students. Only need a program like Audacity, a computer, and a microphone. Use a short recorder next to a book for book promotion. Have students or teachers record and have a contest for students to guess the voice. This is the link for a session I’m teaching at Library Harvest on Thursday. Alternatives to the traditional book trailer. Author picture with QR codes that link to books, biography, facts, etc. QR code link in back of book that links to series website so students know what book is next in the series. If there is not a good series website consider using Wikipedia. Student created bookmarks with the cover, a short review, and QR code link to online content such as reviews, trailer, author website, etc. Use QR codes that reveal the correct answer on a worksheet. For example: students scan A and the QR code says “Please try again” and when they scan C it says “Correct”. This is great for discussing WHY an answer is wrong if it is common mistake. Stations-QR code can link to content, directions, or etc. Link to wiki or website created by student that reflects learning on a research project. Post around school. Students scan a QR code for a book description or cover and then locate that book in the library. Scan a second QR code when they reach that location to see if they are correct.